We have produced an updated interactive map of the illegal trade in totoaba swim bladders. The illegal totoaba fishery is the principal cause of the decline of the critically endangered vaquita, the world’s smallest porpoise and most endangered cetacean. In the past five years, vaquita numbers have fallen catastrophically as a result of bycatch in nets set to capture the totoaba. Today, the vaquita stands on the very edge of extinction – it is believed that fewer than 30 individuals were estimated to survive. Four further deaths were recorded by April 2017, including two juveniles. Unless all gillnets are eliminated from the range of the vaquita immediately, the vaquita is likely to go extinct soon. The totoaba is a critically endangered fish species found only in Mexico’s Gulf of California. Caught largely for its swim bladder, an organ prized in traditional Chinese medicine, overfishing in the 20th century saw totoaba numbers fall by 95 per cent. Catching the totoaba has been banned in Mexico since 1975 and international trade in the species was banned in 1977. Despite this, illegal fishing and trade in totoaba continues. A surge in totoaba poaching has been observed since 2010-11, reflecting increased demand for the species in China as a replacement for another species, the Chinese bahaba, which is commercially extinct. Our interactive map provides an insight into the illegal totoaba trade. The red markers indicate seizures of totoaba by law enforcement since January 2013, while the black markers represent convictions relating to the totoaba trade. This data has been collated from publicly available information, including enforcement agency press releases and news media in English, Spanish and Chinese, but is not an exhaustive data set. The black markers represent observations of totoaba swim bladder during Greenpeace and our investigations since 2015. These seizure records indicate significant discrepancies in terms of effort applied to enforcement in source and consumer regions. The vast majority of seizures have taken place in Mexico and along the Mexico-US border. In contrast, only two seizures of a few totoaba products have been reported in Hong Kong and none in mainland China, the principal market for illegal totoaba. Early 2017 saw market inspection campaigns targeting illegal totoaba trade launched in Guangzhou and Shanwei cities in Guangdong, China, but these appeared to be largely cosmetic: public launches of the campaigns meant that traders had plenty of warning to conceal their activities and the inspections resulted in no seizures or arrests. Our investigations in 2015 and 2016 revealed totoaba swim bladders openly on sale in China’s Guangdong Province and ongoing monitoring demonstrates that the trade is still occurring. The Chinese Government must crack down on the existing trade through targeted and intelligence-led operations, raise awareness of its implications and undertake coordinated enforcement activities with Mexico, the US and other transit countries to prevent future trade. 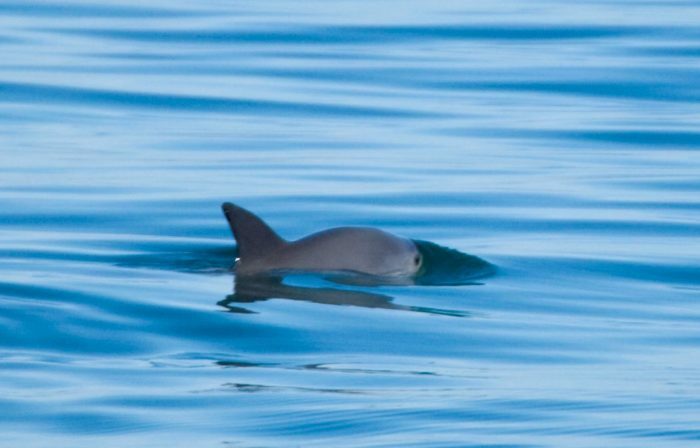 Unless action taken to end this illicit trade is stepped up, there is little hope for the survival of the vaquita. We welcome referenced information to update the map, and the dataset is available for research and analysis on request. Please contact us.